This thesis is composed of three parts that are presented in a hierarchical order reflecting increasing organization level of the studied system. Gene regulation was studied at the single gene level first, extended to interacting transcriptional units and finally to its role within small regulatory networks. Our approach consists of an iterative experimental-based mathematical modeling based on promoter libraries with synthetic binding site sequences of variable affinities for selected transcriptional activators. We used such libraries to perform in vivo experiments using the yeast Saccharomyces cerevisiae in order to improve our theoretical models. 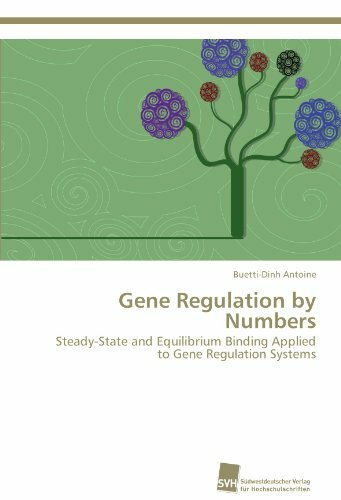 The main goal of the work is the determination of gene system&#x2019;s intrinsic properties like cooperativity coefficients and binding affinities of transcription factors to DNA regulatory sequences. Antoine Buetti-Dinh, Swiss, born 21st October 1984, in Paris, France.PhD in Physical Systems Biology, Institute of Molecular Life Sciences, University of Zurich.Master of Science in Biochemistry, Biology Track, Department of Biochemistry, University of Zurich.Bachelor of Science in Biochemistry, Biology Track.Department of Biochemistry.